What drag radial setup are you running? Pics would be great. I'm trying to find the right setup (drag radial/wheel). Last year I only had a few runs with my 275/50/17 M&H drag radial with a stick steel f150 XL wheel. They are branded as a 28" tire but measure closer to 27.5". I run 17x9.5 Race Stars with 305/45 Mickey Thompson ET Street R's. Mickey has 315/50's available now and I'm going to get a set of those next. I have a 3.55 rear end and with the short 305/45's my effective rear end ratio is something like 3.92 I believe which is a bit shorter than I'd like for my turbo setup. Do you have a picture by any chance? 350/45/18 ET street R. It's a 29" tire and works well for me. I mostly need to dial my suspension in. Looks great. Love the race stars. I'm now running Mickey Thompson 315/50/17's on take off raptor wheels. They appear to be 29" tall. I don't have any pictures of this set up yet. 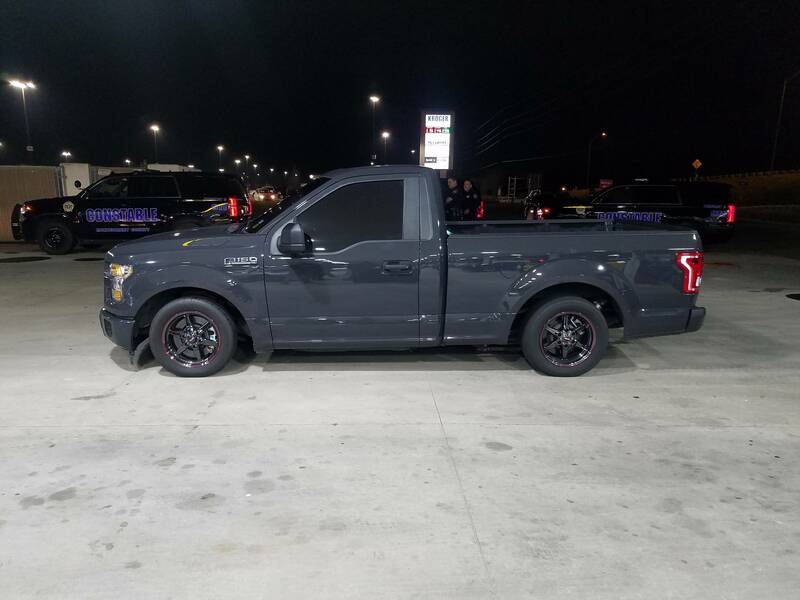 I also have 235/70/17's on the front on the raptor wheels also. With the previous set of 28x11x17 bias ply MT's it did a 1.85 60' time. I'm hoping with the new taller tires and lower gears to net a significantly better 60' time. I won't make a trip to the track however until after they have the big no prep race March 8-9, as they aren't letting anyone run on the new surface until afterwards. Send a shout out when you go, as your tracks down south are about as close as the ones up north. 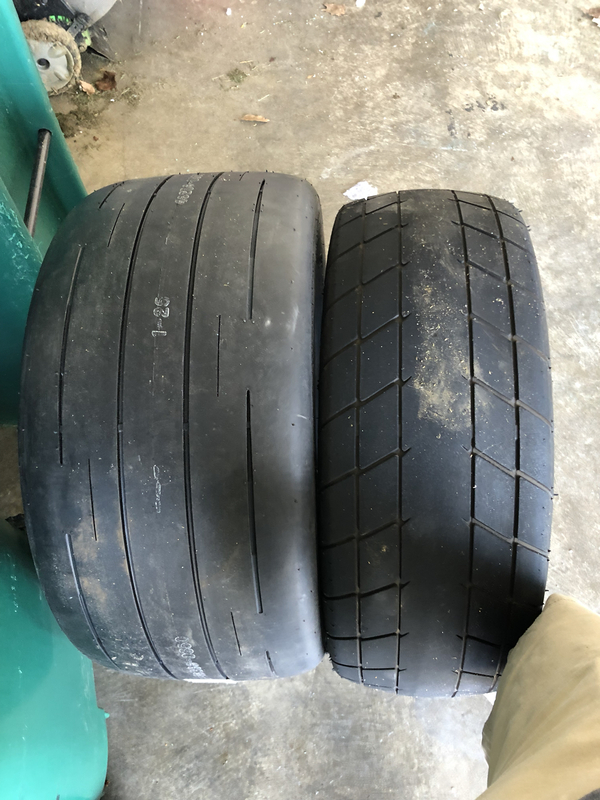 I just purchased the Mickey Thompson ET Street R 315/50/17's to replace my M&H 275/50/17, hopefully they're here by Friday for my first track outing. 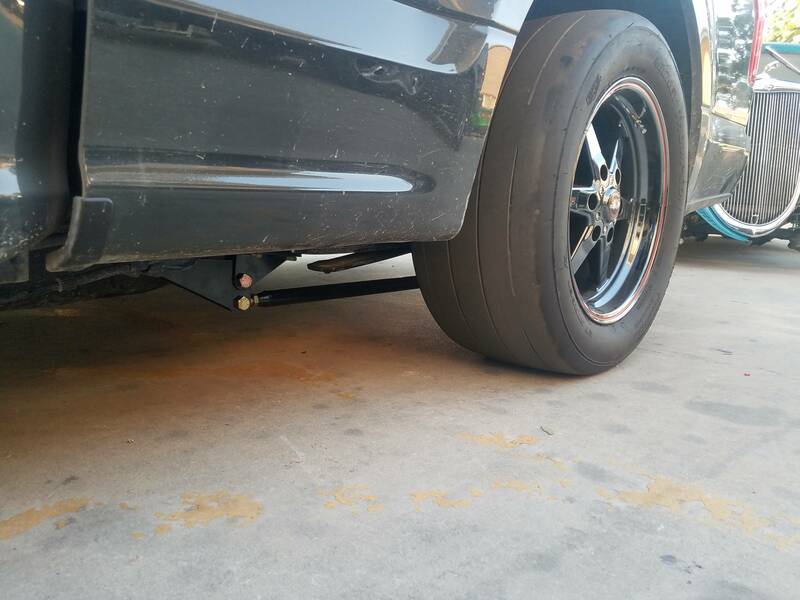 I needed something a little taller with my 4.10 gears and to fill up the wheel well. Quick Reply: What drag radial setup are you running?